There are multiple factors that go into determining the best implant size for you. Breast measurements, desired size, characteristics of your breast, tissue and chest wall are all critical in making the right selection. Breast implants are measured in cubic centimetres. That's why you'll typically see CC when labeling size, like 350CC. Breast implants come in a whole range of sizes, from about 80CC up to 800CC. Obviously, the higher the number, the bigger the breast implant size. The width of the base also varies, fom 7.4cm to 17.2cm. There are three ways that can help you figure out implant size for your breast augmentation. 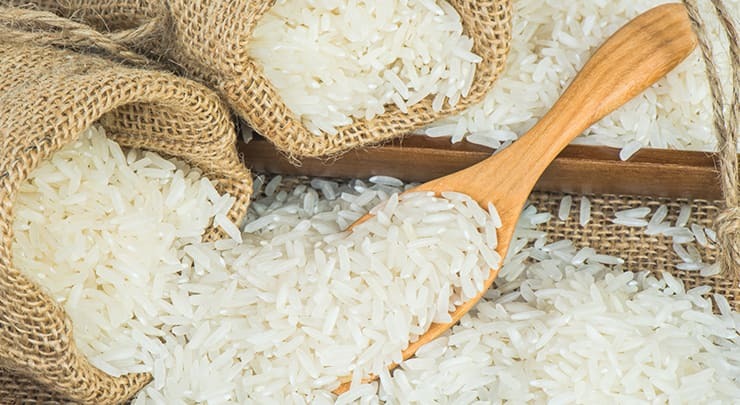 The first two you can do at home by measuring out uncooked rice or water. Remember: 1ml equals to 1CC. The rice test is generally regarded as the most popular way to determine implant size. To perform this test, grab a pair of old pantyhose and cut off a 12” strip (do not use the foot part). Tie a small knot in the bottom end. Then, measure out your preferred amount of uncooked rice to fill the pantyhose with. Tie off the top end. Do this twice to have one for each bra cup. The water test is similar to the rice test. 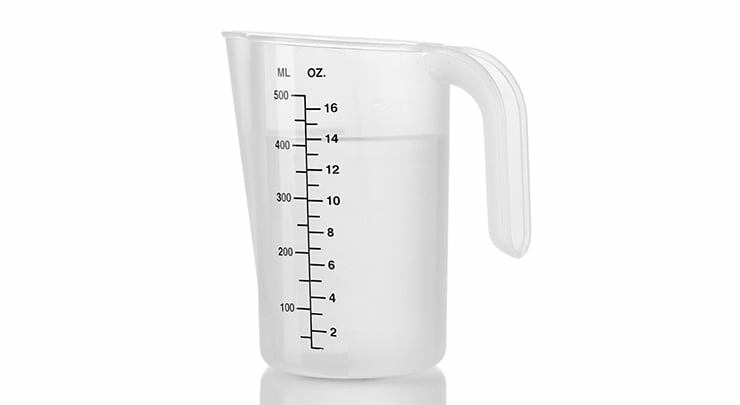 Instead of using pantyhose and rice, you will use a plastic baggy and water poured from a measuring cup. For either method, you should try on different tops and dresses over your new "breasts" to get a good idea of how you would look. The best way to determine implant size is to visit our office for a sizing session. We offer a vast range of implant "sizers", which are basically real implants you can put into your bra. This is generally considered the best way to determine the right size for you because we'll be right beside you to help, answering any questions you may have. You're welcome to bring in a friend or partner during your sizing session to help you as well. Just remember to bring in a couple bras in the sizes you're considering so you have space for the sizers. Some surgeons offer computer imaging technology to help patients in this process. Pictures of your breasts will be taken, then a computer program called VECTRA will show you what you will look like with certain implant sizes. The drawback is that VECTRA is a simulation of predicted results. It will help give you an idea of what you’ll look like, but it is not an accurate representation. Don't measure your breast size by your bra! Bra cup size is not an accurate way to measure breast size. It is imprecise, because bra sizing standards vary from manufacturer to manufacturer and even country to country. Despite being labeled the same cup size, the actual volume may be different. That's why it's best if you bring in the exact bra you want to wear after your surgery to your sizing session. From a medical standpoint, it's important that I also consider your specific body measurements when deciding on what size is right for you. An overly large implant can cause complications, both right after surgery and a few years down the road. Such complications include separation of incision lines and excessive sagging. However, I also understand that an overly small implant won't improve your body contour sufficiently. Measurements, like your shoulder width, height and ribcage width is used to determine a range of implant sizes that would achieve proportionate improvement as well as reduce your risk of complications. Do you like to exercise regularly? If so, perhaps it’s best to stay conscious of the fact that breasts over a certain size can make some physical activities more difficult or cumbersome, such as running and tennis. Are you the type of person that likes to attract attention, or are you more quiet and reserved? The larger the implants, the more attention you could attract. You may want to opt for a slight increase in size, just enough to balance out your body contour for a more natural look. You shouldn’t base your decision on breast size based on an actress that you saw on the internet. They are not you. You should select a size that accurately reflects your own personality and lifestyle. Don’t base your chosen size on how your girlfriend looks, either. Her body is different and the breast size she has may not look very flattering on your body. A breast implant consultation is a two-way street. You need to express your expectations and it's my job to understand them so I can help you achieve them. If you feel that your concerns are not being addressed, don’t be afraid to ask for more clarification or explain your situation further. I'm here for you! You should not agree to undergo the surgery until you’re confident that you'll like your new look and size. If you have any doubts prior to your surgery, talk to me about them! We can also schedule another in-clinic implant sizer session. As you can see, there are many factors that you need to take into consideration when selecting your implant size. You shouldn’t choose a size because it looks good on a friend or celebrity. You should select a size that is right for you. The process is personal and while you should take your doctors suggestions into consideration, you have the final say in the size you select.